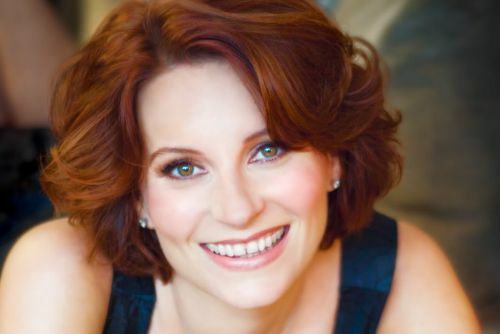 Meg Cabot is an American author who writes romance, paranormal romance, mystery and chick lit for adults, young adults and children. Meg has also written under the pen names Patricia Cabot (for romance novels) and Jenny Carroll (for YA novels) Meg is best known for her Princess Diaries series, but has several other series, including The Mediator, 1-800-WHERE-R-U, Allie Finkle’s Rules for Girls and the Heather Wells Mysteries series. Her novel The Princess Diaries was adapted to film by Walt Disney Pictures in 2001, starring Anne Hathaway and Julie Andrews. Notes: Princess in the Spotlight was also published as Take Two. Princess in Love is also known as Third Time Lucky. Princess in Waiting is also titled Mia Goes Fourth. Princess in Pink was also published as Give Me Five. Princess in Training is also known as Sixsational. Party Princess is also known as Seventh Heaven. Princess on the Brink is also known as After Eight. Princess Mia was also published as To the Nines. Forever Princess is also titled Ten Out of Ten. The first four Mediator novels (up to Darkest Hour) were originally written as Jenny Carroll. Shadowland is also known as Love You to Death. Ninth Key was also published as High Stakes. Reunion is also titled Mean Spirits. Darkest Hour was also published as Young Blood. Haunted is also known as Grave Doubts. Twilight is also titled Heaven Sent. All standalone novels up to Lady of Skye, plus Kiss the Bride were written using the pseudonym of Patricia Cabot. All 1-800-Where-R-You novels, except for Missing You, were originally written using the pen name Jenny Carroll. The Boy Next Door was also published as The Guy Next Door. Big Boned is also known as Size Doesn’t Matter. Glitter Girls and the Great Fake Out was also known as Glitter Girls. Pants on Fire is also known as Tommy Sullivan is a Freak. Shining On also contains stories by Malorie Blackman, Melvin Burgess, Anne Fine, Cathy Hopkins, Sue Limb, Celia Rees, Meg Rosoff, Rosie Rushton and Jacqueline Wilson. Prom Nights from Hell also includes stories by Kim Harrison, Michele Jaffe, Stephenie Meyer and Lauren Myracle. Midnight Feast: Warchild also includes stories by Eoin Colfer, Anthony Horowitz, Garth Nix, Louise Rennison and Darren Shan. Cosmo’s Sexiest Stories Ever also contains stories by Jane Green and Jennifer Weiner. Everything I Needed to Know About Being a Girl I Learned from Judy Blume also contains contributions by Beth Kendrick, Julie Kenner, Cara Lockwood and Jennifer O’Connell. Meg Cabot Synopses: Prom Nights from Hell is a collection of paranormal stories that, besides Meg Cabot, also contains stories by Stephenie Meyer, Kim Harrison, Lauren Myracle and Michele Jeffe. These authors take prom mishaps to the next level. It doesn’t matter how you look when your date is the Grim Reaper.